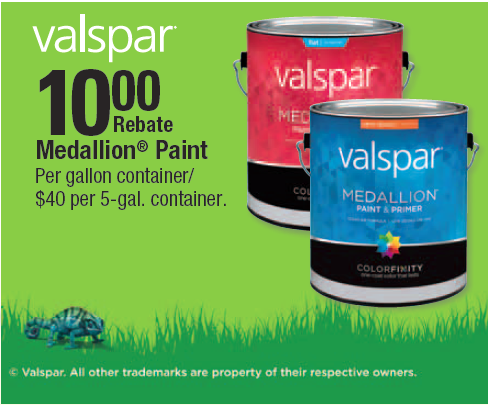 $10 Off Valspar Medallion Paint! $10 Rebate Medallion Paint Per Gallon Container/$40 per 50 gal. container! Valspar Medallion Acrylic Latex Interior Paint: $38.99-$41.99 Before Rebate! Valspar Medallion Acrylic Latex Exterior Paint: $40.99 - $44.99 Before Rebate! 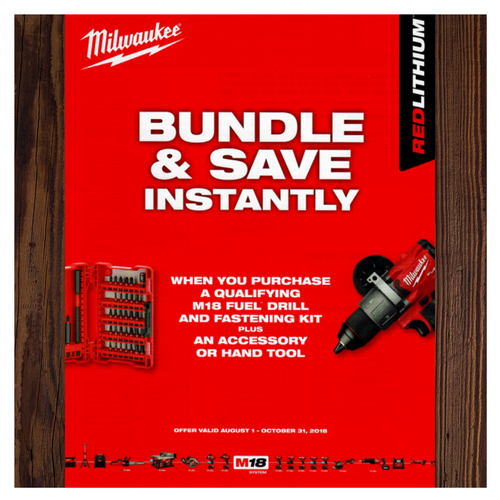 When you purchase a qualifying M18 Fuel Drill and Fastening Kit Plus an Accessory or Hand Tool!! Save up to $1,000 Dollars on RDI Railing Products! Save $100 dollars on every $1,000 spent on select RDI railing styles. For Details on how to receive your rebate, check the Terms and Conditions.